Alarm: installation error, AC power supply. compliance with the requirements of IEC 60601-1. When the pump is connected to the AC power, the battery will automatically recharge About 8-14 hours to recharge fully Can run for more than 5 hours continuously after fully recharged. 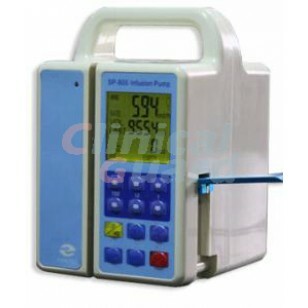 Flow rate, volume limit, accumulated volume, power indicator light, bed No., air, occlusion, empty. 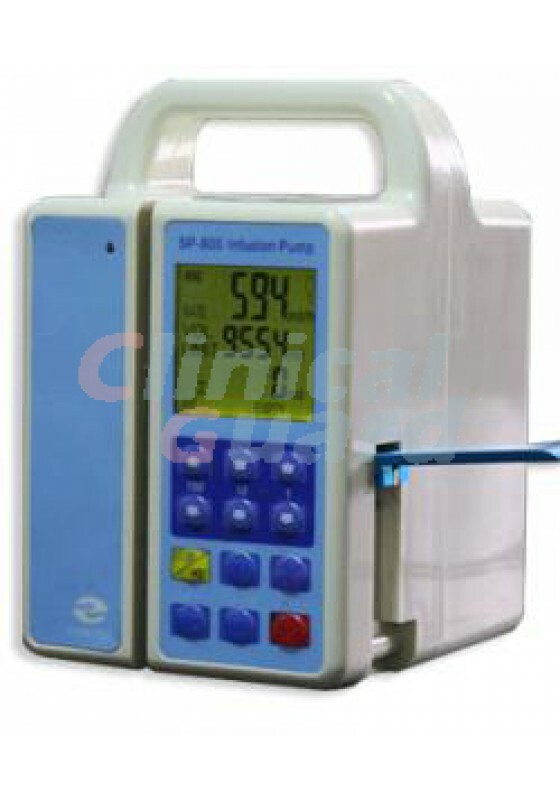 Infusion completion, occlusion, air bubble, low battery, control abnormal, no AC power supply, installation error. Environment temperature -15°C– +50°C, atmosphere pressure 50--106kPa, relative humidity 30%-90%. Complies with IEC/EN60601-1-2 and IEC/EN60601-2-24.